One of the lesser known, but potentially very useful new features in Android 4.1 and higher (aka Jelly Bean), is the option to boot your device into Safe Mode. This is a power-user feature which can help you to get rid of rogue apps and troubleshoot issues. Getting into Safe Mode is relatively easy, although the method can vary depending on what device you have and how the UI is set up. The standard way to get into Safe Mode is to hold down the power button on your device until the shut down dialog box pops up, then press and hold the power off option in the menu. This should lead to another dialog box (pictured right) asking you if you want to reboot into Safe Mode. If your UI doesn't deal with the power off options like this, or if you have an older device (which has somehow been updated to Jelly Bean), you can reboot and then hold the volume up and volume down buttons at the same time to enter Safe Mode. When in Safe Mode, the words "Safe Mode" will show at the bottom of the screen. 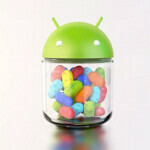 Safe Mode will cause your device to boot up, and load only the Android system, no 3rd-party apps. So, if you've had an app that is causing lots of troubles, this could make it much easier to remove the app. And, if you're having issues with your device this could also help figure out if the issue is due to a 3rd-party app or not. 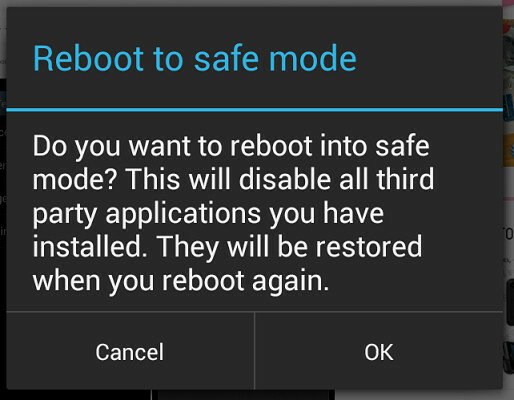 You press and hold down the Reboot button in Cyanogenmod to get the safe boot menu, just putting it out there. This man speaks the truth. Tried it on my HTC one x US version running a custom ROM. Reboot or boot it up if shutdown. When phone booting up, tap the Menu button when it lights up and it will boot into safe mode. Same for SGNote 1/Note 2. So if one boots the phone into safe mode and disovers the rougue app can it then be uninstalled? If so, can this be applied to bloatware or other uninstallable apps? This would be a great workaround for that! My phone is slated for upgrade to 4.1 later this week so I will try it. I know this article is really old now but want to just point a few flaws. This safemode short cut for 4.1+ does not work on samsung devices (accept the Galaxy Nexus and Nexus 10). Also, while holding both the volume keys may work for some older devices, it doesnt work for them all. Am still looking for safe mode for, Alcatel, ZTE, Huawei, Acer, Dell and a few Motorola devices. Have been searching for these devices for weeks. If anybody knows any links where i can find this information, will be much appreciated.